Learning about teacher leadership through EDU 6600: Communication and Collaboration has provided me the theoretical background from which to analyze my current leadership role. This year I am working as an administrative intern at a small international school in Jakarta, Indonesia. In addition to working on the last year of my M. Ed. in Curriculum and Instruction, I have begun my Principal Certification. 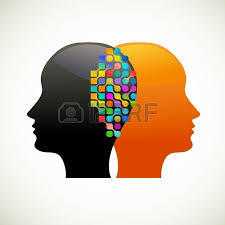 Needless to say, my entire waking life (and what little sleeping I do) is infused with thinking about “leadership”: how to promote the qualities and dispositions to be an effective administrator in myself, and how to support and empower leadership opportunites for the teachers I work with. I have spent considerable time working on updating and creating policies and procedures, and developing professional development. I have worked closely with a new middle school Language Arts teacher on unit design utilizing Understanding by Design principles and conepts, and I’ve spent a significant amount of time helping to craft the curricular program offered at my school. This year has been a whirlwind of student registration, Board meetings, parent-teacher conferences, Measurement of Academic Progress (MAP) testing, and participating in school improvement through a three-part strategic and action planning initiative. And we’re only halfway through the year. Our two course books Professional Development: what works by Zepeda (2012), and Teacher leadership: The “new” foundations of teacher education edited by Hilty (2011) have informed my decision-making at nearly every level. My Head of School likes to say education is a people business: I have been learning the “working with adults” end of the business this year. Understanding and honoring the differences when working with adults rather than children is crucial for any administrator. I especially appreciate the practical advice of Langer & Applebee (1986) as quoted in Zepeda (2013): “To be effective, adult learning should be built on ownership, appropriateness, structure, collaboration, internalization, reflection, and motivation” (Chapter 3). As I’ve worked with other members of the Best Practices committe (I’m the Chair) and we’ve collaborated with the Technology committee, a driving imperative has been offering choice so teachers can choose an activity that feels appropriate for where they are at in their learning and/or needs. I approached my metareflection as an opportunity to look back through my blog entries one more time to extract and distill my thinking at that time. These entries represent overlapping weeks of transformative thinking, each in turn influencing the evolution of my thinking around working with adults, the power of collaboration and the professionalization of education. During week 4 in my blog entry titled Trust in the Process, Resources & Time I was able to deconstruct my first experience mentoring a teacher. New to teaching middle school and English Language Arts, this teacher was reluctant to engage in unit planning and was generally overwhelmed. It was helpful for me to have read about the four conditions for successful job-embedded learning discussed by Zepeda (2012): consistency with the principles of adult learning, trust in the process, colleagues and learners, ensuring that time within the school day is available, and sufficientt resources are available to support learning. I was also able to take a look at professional development within my particular context in an international school: Driscoll-Lind & Toweh (2013) point out “Yet working in international schools, which are frequently remote from each other, can become insular. As a result, schools often reinvent the wheel instead of seeking out assistance from another school that may have valuable expertise to share.” Although my school is not at a point where we are able to collaborate with other international schools in our area, my next school in Nigeria already does. 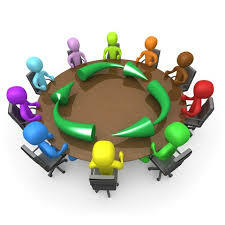 I’m looking forward to working with a widened circle of professionals that share similarities. This was an important week for my thinking and learning about teacher leadership since my goal is to become a principal. As I commented in my blog during week 5, I tend to err on the side of setting expectations and providing opportunities then getting out of the way.But understanding the role that I can and will play in empowering teachers to be leaders while simultaneously supporting them is critical. “Yet, building trust requires a deep commitment that extends beyond the typical congeniality found in most work settings. Casual conversations, shared interests and proximity may create powerful group norms, but these are norms most likely built upon congeniality, defined by Sergiovanni (1994) as the following: ”Congeniality emerges from the friendly human relationships that exist in a school and is characterized by loyalty, trust, and easy conversation among teachers, factors that often lead to the development of a closely knit social group” (Sergiovanni, 1994, p. 91). ” (Rayl, November 11, 2013). “Johnson and Donaldson (2011) believe that second-stage teachers, those who have four to ten years teaching experience, are well poised and motivated to support the democratization of teaching and learning through the development of their own and others’ leadership skills. For these teachers, leadership offers an opportunity to share insight and competence with others, reduce isolation and allows a variance in responsibility and an expansion in their influence” (Rayl, December 4, 2013). 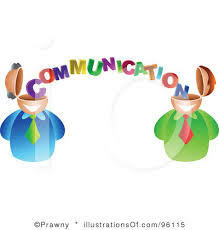 Two questions from week one that I feel I can provide compelling evidence of my on-going work this academic year are: how am I supporting communication and collaboration in my school and what is my investment in the school improvement plan? This is a link to my final project for this course titled Supporting School Improvement Through Teacher Leadership SIP_PD Plan. In this plan, I detail the ways that I have been collaborating with teachers in the areas of professional development that is linked to our school improvement efforts. I also talk about how I have been able to present the professional development planning to our Board at our last meeting, and my plans to write an article for our next school newsletter as a way to keep parents informed. Though my project was focused on teacher collaboration, I have engaged with parents through our strategic and action planning initiatives this year. I have been the main coordinator working with our consultant to identify and invite stakeholders (parents, students, business office staff, teacher, and administration) to meet in small focus groups, and during a three day session two weeks ago. It is through the opportunities that I have been able to make a difference in my school improvement process while empowering the leadership capacity of our teachers. Though I will be back in the classroom next year, I will look towards my continued leadership dispositions and opportunities with a new eye as a result of my learning in this class. Jaquith, A. (2013, October). Instructional capacity: How to build it right. Educational Leadership, 71(2), 56-61. Sergioanni, Thomas J. (1992). Moral Leadership: Getting into the heart of school improvement. Jossey-Bass. SanFrancisco: CA. This entry was posted in EDU 6600 Communication and Collaboration, Standard 06. Communication, Standard 07. Collaboration and tagged Communication, metareflection, professional development, school improvement, teacher leadership. Bookmark the permalink. I enjoyed reading your reflections on your journey through these standards. Your experiences in working with teachers at your school certainly allowed you to grow as an administrator. Reading through your SIP plan, I can only imagine the deeper challenges that you faced at a school going through such major transition! I especially liked your suggestions for differentiated PD, and your willingness to seek out a newer teacher for more intensive job-embedded training. You mentioned that International Schools are often more isolated and that your next school is more connected. What do you think you will do differently at your next school because of your experience in Jakarta? How will adapting to a different culture affect communication and collaboration within the school? Your meta-reflection certainly shows that you take communication and collaboration seriously – a definite mark of a successful administrator.